The Junction always used to be the poor cousin of Noosa—a bit shabby and overlooked, mostly populated by fast food joints, pubs with sticky floors, and backpackers smoking at the bus station. It certainly didn’t have any of the glam you find down on Hastings Street, or the views you get on the river, and let’s be honest we only reason we ever even went there was to see a movie when we couldn’t get a lift to the Plaza. But OMG has it changed. 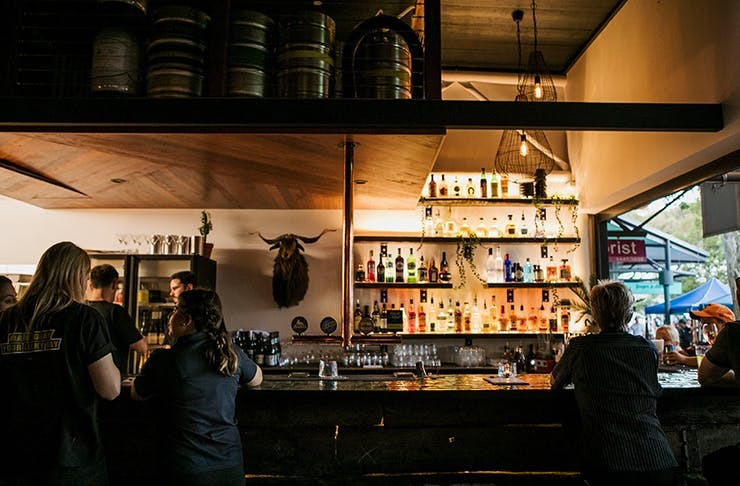 Thanks to a few committed locals with a vision, the Junction is a buzzy hub filled with coffee, fashion, bars and food with a chilled, villagey vibe—AND you can always find somewhere to park. 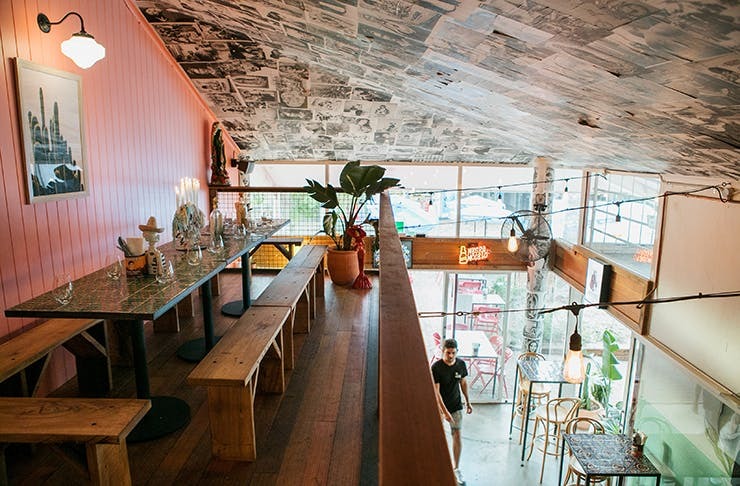 Here's all the places we love in Noosa Junction, that you simply must hit up. Larder & Baked is a relative newcomer to the Junction, this little spot near the cinema is the spot to head for super-fresh, local produce, crafted into amazing meals. They serve up some of our favourite local products – Rhodavale pork, Voodoo Bacon and Cooloola milk. Order up a smoothie “like your mumma made them”, or go for a dairy free version with Coyo and chia seeds. And we’ve got it on good authority that the poke bowl with Mooloolaba tuna is the best around. 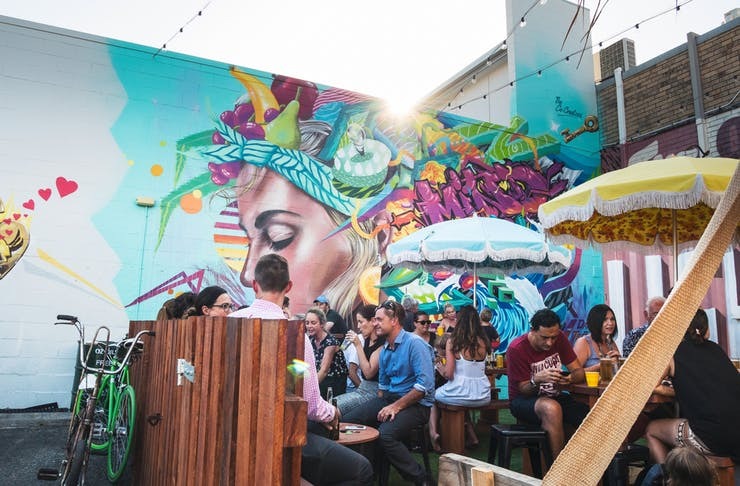 The brainchild of the crew behind the Junction revitalisation, the Twilight Markets brings together pretty much all of our favourite things — food trucks, live music, craft beer and artisan goodies. So pencil it in your diary for the third Friday of every month, put on your stretchy pants and head on down. We know surfboard shop slash cafes are the latest thing – they’re popping up all over the Coast — but Waterpistols has to be one of our faves. 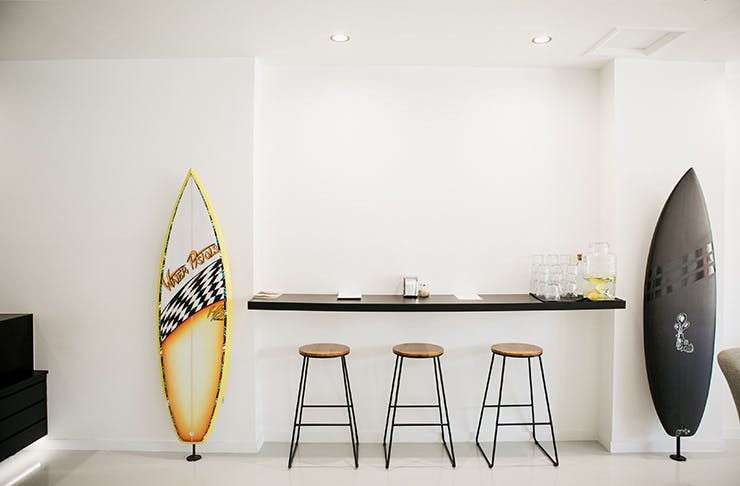 Head in to this sleek space from 6am for a coffee and an acai bowl — just be careful not to drool over the Stuart Campbell-shaped boards on display. When too much kimchi just isn’t enough, head to Haru Korean Kitchen. Yes, they do a few general Asian dishes, but don’t be fooled, stick with the traditional Korean stuff. (If in doubt, ask the gorgeously helpful staff.) Catering to homesick Korean students, and adventurous locals, the dishes are authentic, filling, and very, very spicy. The main seasoning in Korean food tends to be chilli, so don’t take a bite of something without having a test nibble first. But once you acclimatise, you’ll be obsessed. Our mates at Moto always keep us guessing. Even though they’re got a regular menu for your day to day stuff, they mix it up on a regular basis with Asian Street Food nights (did someone say sticky beef short rib bao?!) curry nights, and an epic outdoor Saturday brekky BBQ that puts Bunnings to shame #thereIsaidit No cheap sausage and white bread here — grab a haloumi and mushroom roll, a luxe bacon and egg roll, or a serious brekky burger to go with your special Moto blend Clandestino coffee. The place that started it all — one of the first seriously hot venues in the Junction for food, booze and good times. Even though they’ve moved around the corner, they’ve still kept the bright, breezy, LA Mex style of the original, and you can still get a late-night Baja fish taco with a side of tater tots, and a 4 Pines to wash it down. Village Bicycle is a must when you're visiting Noosa Junction. Need a cold beer with your haircut? Well, obviously you do! The only place to go for a real man’s haircut, Scumbags has just relocated to the Junction, AND extended their opening hours. If you want a short back and sides, a proper, old-fashioned shave with a warm towel, or if you want to put your beard trimming in the hands of the experts, this is the only place to go. They don’t take appointments, but they move fast, and if you can show some ID, you do get a cold beer from the fridge while you wait. A chef who makes dad jokes, bashes some cutlery about, then throws your dinner at you? Trust us, it’s WAY more fun than it sounds. 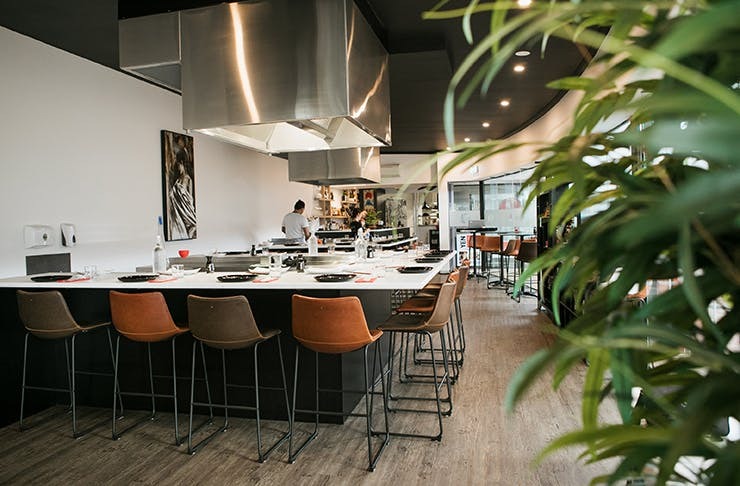 Yen Teppanyaki is all about spectacle, and your table will be catching fried chicken and sipping sake as you’re entertained by your incredibly talented chef. Teppanyaki is most fun with a group, so round up your crew, practice your catching skills, and make a night of it. This place is in demand, so make sure you book! Head to the centre of the Junction for some seriously good charcuterie and cheese — authentic Italian, Spanish and French cheeses, alongside prosciutto, coppa, and salami, as well as crackers, relishes, and anything else you would want on a cheese board. At Noosa Deli there’s a sit-down menu for brekky and lunch, but we’re pretty sure you won’t be able to resist stocking up from these amazing cheese cabinets, to create the most insta-worthy grazing table your mates have ever seen. A chilled bar with an epic number of local beers on tap? Tapas menu with loads of fabulous fried, dippy, nibbly things to share? A spectacular cocktail menu stirred up by some of the best mixologists in the biz? Where do we sign up? Head to Eddie Cheeba’s and score an outside table and settle in for the night. Long-time Junction fave, Noosa Hot Bread is now République — all the better to reflect its uber-Gallic roots. The team has spread its wings, and while we can now find them in Cooroy and on Hastings Street, the Junction bistro is still the OG and the best. Grab some melt-in-your-mouth croissants, or put on your stripey shirt and head in for the full French bistro experience. Margarita on tap, authentic grilled fish tacos and giant Frida Kahlo murals are always a good idea. Hidden down Arcadia Street off Noosa Junction’s main drag, this Californian-inspired, city-vibing joint is right up our alley. With a sprawling outdoor space and a lofted interior, this is going to be the spot to hang for tasty nosh and real-deal Mexican cocktails. We're all kinds of in love with Paradise Arcade. Done with the Junction now? What about checking out the best things to do in our eastern beaches (we're talking about Peregian Beach and Sunshine Beach here, kids.